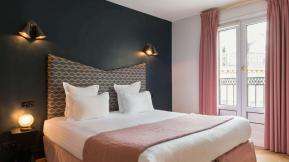 Located in the heart of the Saint-Augustin area, in the 8th district of Paris, Maison Malesherbes is a sumptuous 19th century bourgeois house that welcomes business travelers Paris enthusiasts. Maison Malesherbes has 23 rooms and a suite all with a romantic and bohemian spirit. A refined design, harmonious tones, a floral and bright atmosphere: Maison Malesherbes is an haven of rest in the heart of a spirited and dynamic area. Our charming hotel has an elegant bar in its lobby. Have a nice drink and enjoy an intimate and pleasant moment. During your entire stay, the personnel remains at your disposal and offers a considerate and personalised service. Maison Malesherbes is close to the Galeries Lafayette, Gare Saint Lazare, the Palais Garnier and Place de la Madeleine. You can stride along Boulevard Haussmann, the preferred boulevard of business travelers and lovers of romantic getaways. The 23 rooms and the suite of Maison Malesherbes are decorated with pastels: yellow, pink, blue and green. Summer is just around the corner, so enjoy a stay at the Maison Malesherbes to discover the most beautiful city in the world. Save 20% off your room rate by booking on our official website. This offer is available for stays from July 15th to August 27th and is subject to availabilities at time of reservation. 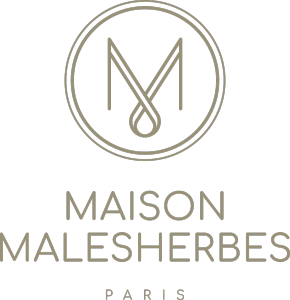 Hotel Maison Malesherbes welcomes you to its new site. Discover all the news of the Hotel de Paris.